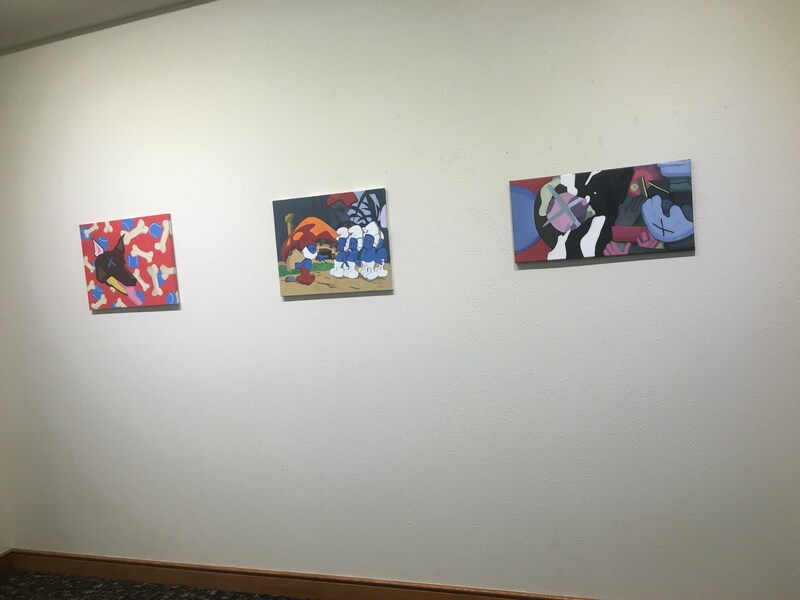 To connect with the community through self-expression, students are showcasing their artwork in Art Corridor I on SE Campus throughout February. Studio Focus Ferrara is the name given to the art exhibit that displays works from SE art assistant professor Dana Ferrara’s painting, drawing and design classes levels I and II, in which the focus is self-expression. The gallery starts with the painting portion. 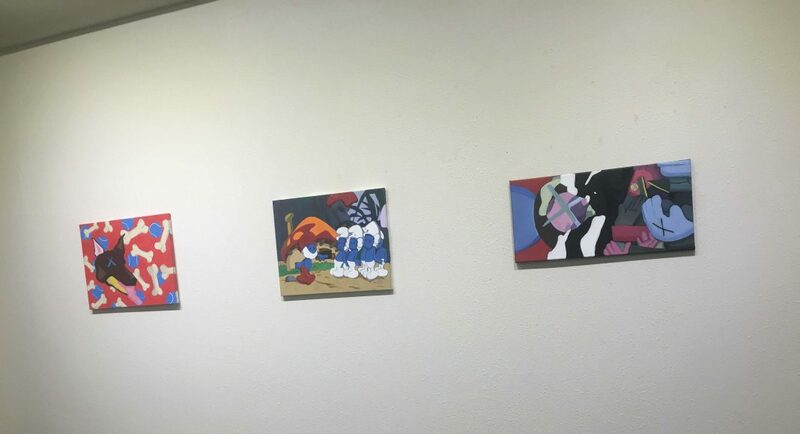 A couple of steps ahead, the design and drawing works are displayed. 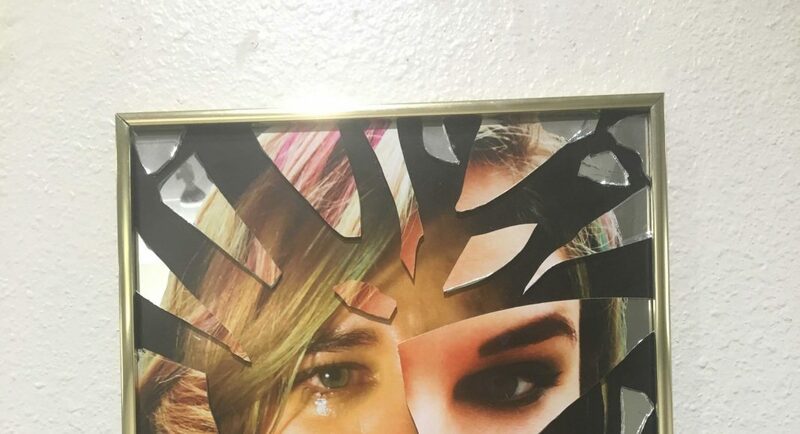 The design section is composed by students who are design or art majors and those who decided to continue forming their art experience regardless of their program. Ferrara expressed her excitement for the diversity of artists behind the pieces. “You’re looking at works from nursing, business, law and many different majors,” she said. The painting works were inspired by two artists: Claude Monet, a 19th century French impressionist, and KAWS, a contemporary American artist. Prior to the event, students visited two exhibits from these two artists at local museums. 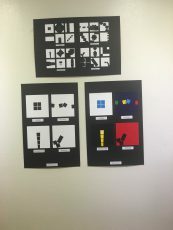 They observed their work and took their main characteristics like KAWS’ print, which is an X, or Monet’s effects of light as inspiration. 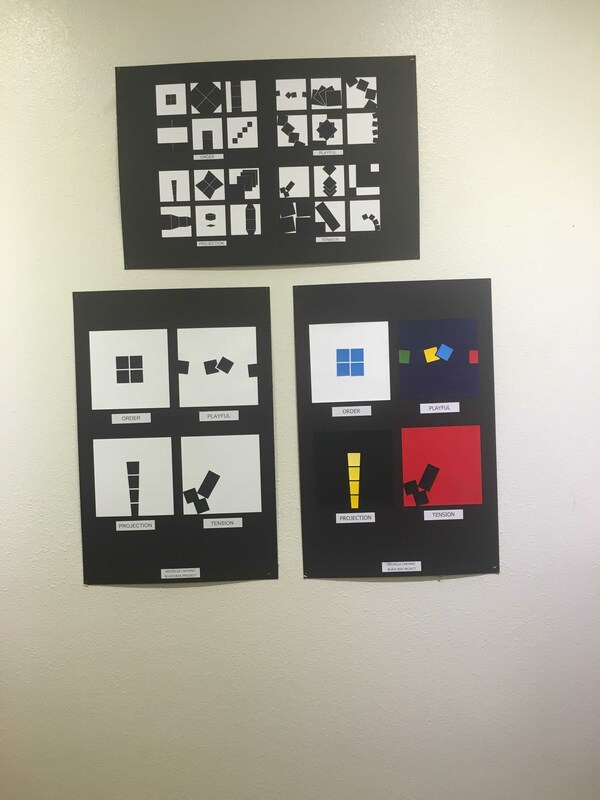 Students also took an approach on a particular assignment called “Public vs. Private” in which they had to communicate a private aspect of their lives to the public. 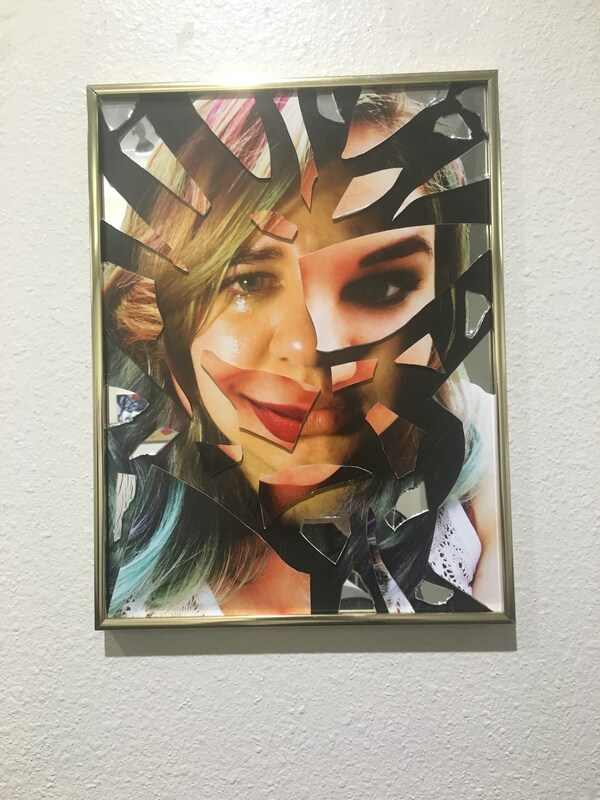 SE student Danielle Green has a piece on display called “Behind a Smile,” a self-portrait surrounded by shattered mirror fragments and a face divided by makeup and no-makeup moments. “It’s kind of an analysis of the duality between the self that I present to the rest of the world and the actual me behind it,” Green said. She also talked about the importance of connecting to the viewer through her work. The connection with painting, drawing and design plays an important role in the exhibit. Ferrara described the show as a “big dialogue.” According to her, though, they are different kinds of art, but they all simultaneously connect. “All of these different projects kind of top it off into different aspects, but foundation is all about creativity,” she said. The exhibit closes Feb. 26.